Sometimes coming up with gift ideas is hard. Lucky for you guys, I happen to love coming up with fabulous ideas for gifts. It isn’t easy finding the perfect gift ideas for each of your family and friends. Nothing is better than having someone open their gift and seeing the look on their face that you nailed it!! Today I am sharing a few of my favorite gift ideas that are around right now. Some you can make yourself or if you aren’t the DIY type (which I totally get), I am sharing some that you can just click to purchase. Like I said, something for everyone and even a few really good unique gift idea suggestions for that hard to buy for person on your list! 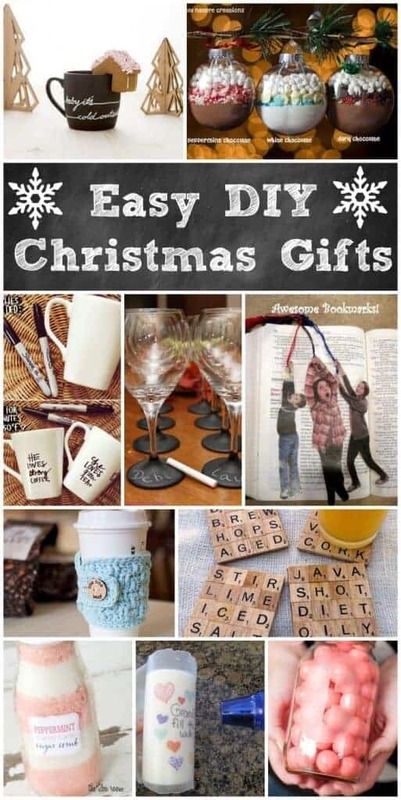 If you are looking for some just “DIY gift ideas” check out this post! Mermaid Tail Blankets are all the rage right now. This is one of my absolute favorites. It is knit with a beautiful textured detail. I found this one here and they also carry a gorgeous grey knit one, too. So hard to pick just one, but this a great suggestion for any lady on your list! 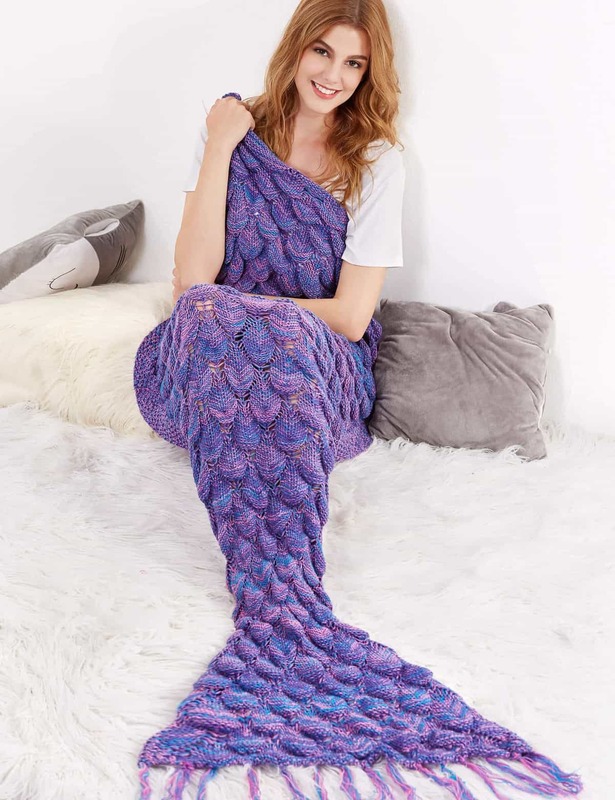 They also have some great mermaid blankets for kids too – check these out! 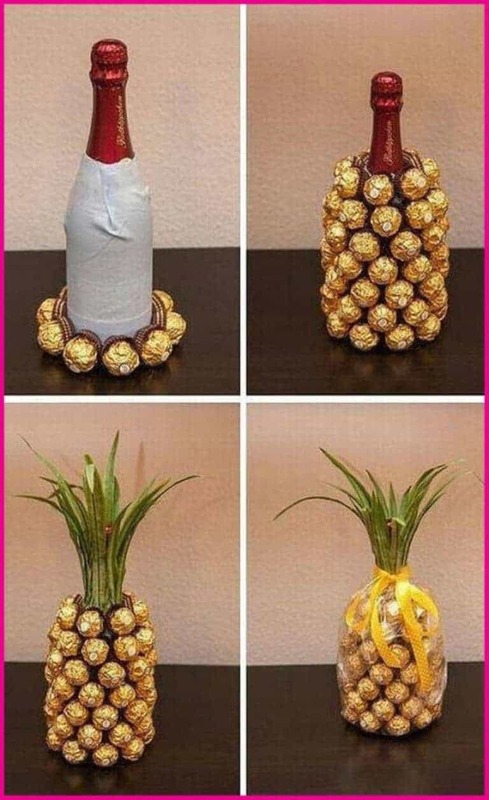 I think anyone would agree that chocolate and wine are always a great gift and when it is made into a pineapple it is adorable! This makes a great DIY gift for the wine lover (or a gift for the chocolate lover….. or the wine and chocolate lover!!) 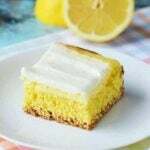 I found this idea on Cosmo.com and I can’t wait to try this myself! I don’t know about you but man, woman, child… everyone loves a good pair of cozy slippers and Pretty Providence shows us how to stuff them will tons of goodies! I really adore this idea. this is also a really fun stocking stuffer! Who doesn’t need a new pair of cozy slippers and I think cozy gifts are just the bomb!! Always a win! Find the cozy slippers here! 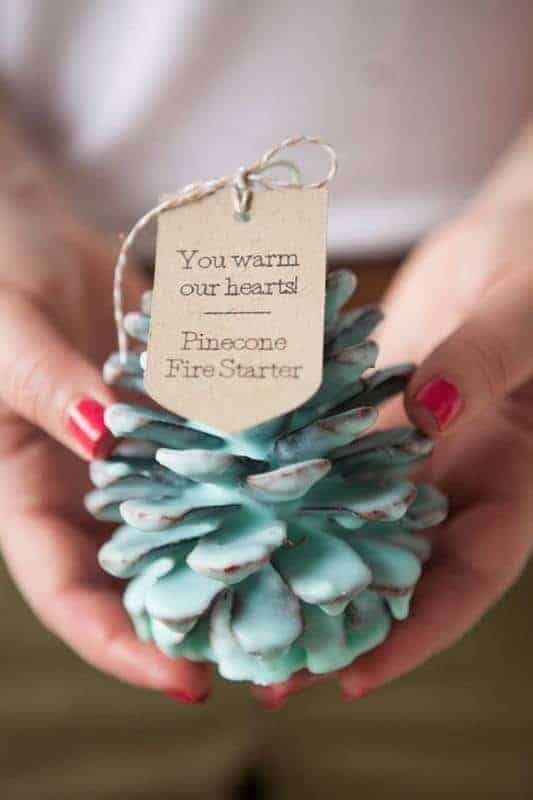 Something Turquoise shares how to make these DIY fire starters. I love that they are both beautiful and useful. Are you not dreaming of holidays spent by the fire right now? These would be great to make in a batch and package them in a cute little gift bag – the perfect DIY gift for your co-workers! This is the best hostess gift ever. 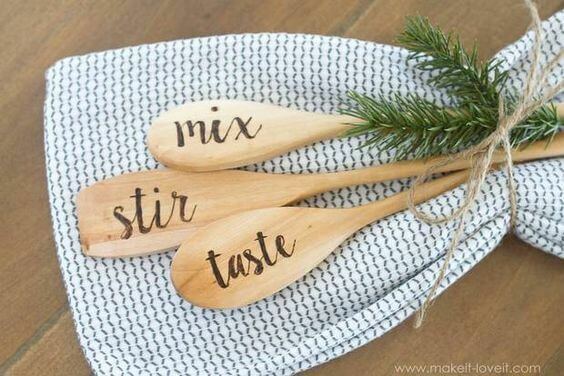 Find a beautiful tea towel and wooden utensils and engrave them with your favorite sayings with this tutorial by Make It and Love It. I found some perfect wooden utensils here and some over the top gorgeous hand towels from Anthropologie here – Amazon also has a ton of inexpensive tea towels here! 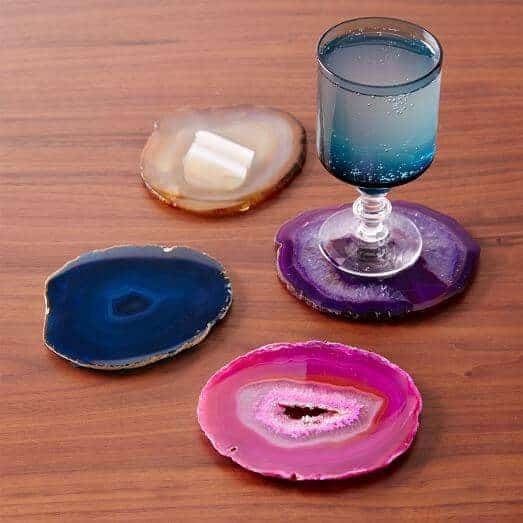 These West Elm agate coasters are beyond stunning and I think anyone would love to have a set or two at home for adding instant beauty to your table. The sliced crystal is polished to reveal naturally occurring patterned rings. Each piece is subtly one of a kind, bringing a little jewel-toned beauty to coffee tables, desks and consoles. 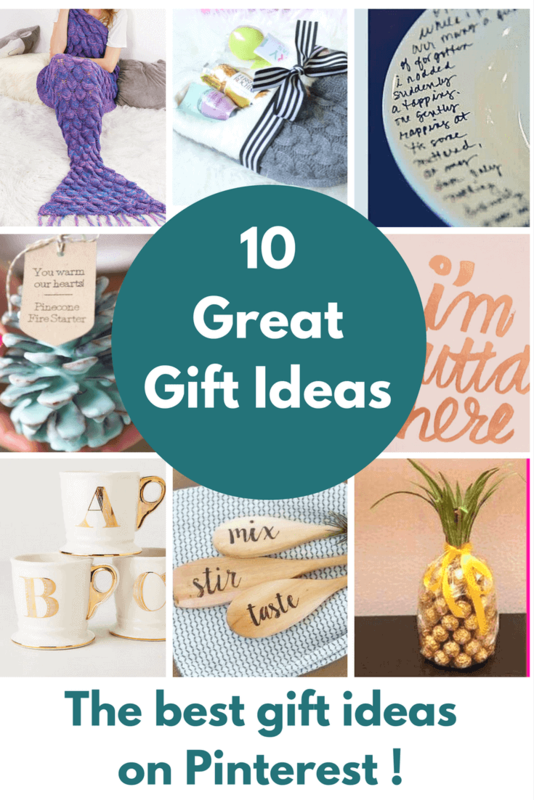 These also make a great hostess gift. Find them here – Love them! You don’t have to be an expert baker to whip up a batch of these ice cube tray chocolates. Tip Hero shows you how to make a variety of chocolates all at one time! This is the perfect DIY gift for your chocolate lover – they will go totally ga-ga over them! 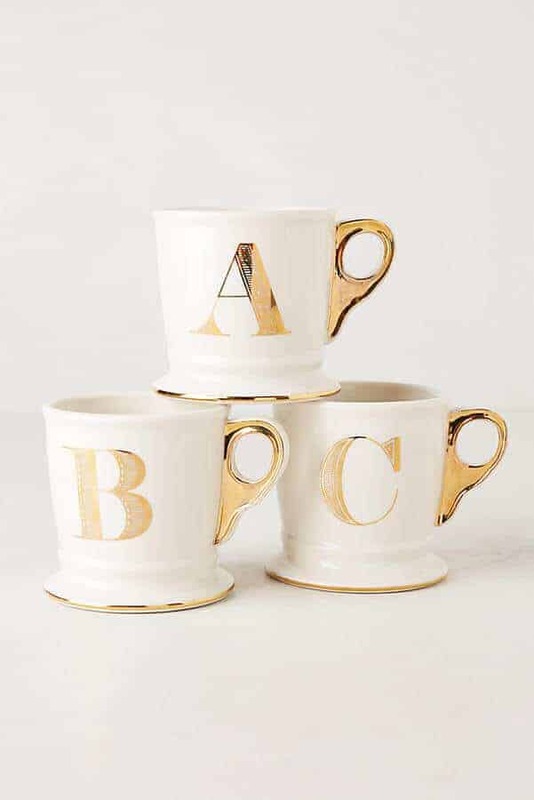 If you really have no idea what to get someone, a set of these limited edition gold monogram mugs from Anthropologie will do the trick. They are to die for! Don’t like the gold? Check out their traditional and famous Monogram Mugs – they make the perfect gift for the coffee or tea lover! Pair it with some amazing coffee beans or gourmet tea – and you are all set! 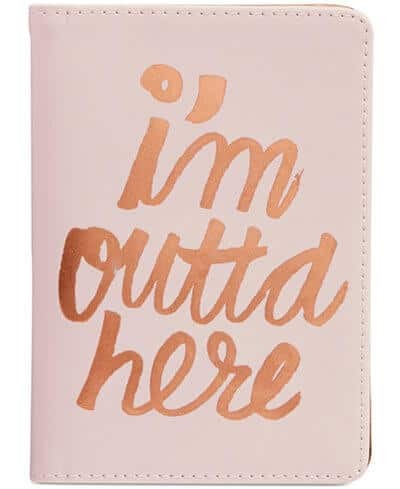 The perfect gift idea for your friend who loves to travel, this I’m Outta Here Passport holder is the perfect gift idea. So cute! It is also great for someone you know who is getting ready to go on a trip! I don’t know about you, but I am always paranoid that I am going to lose my passport – this passport holder makes sure I put it in the same place every single time! I may just pick one up for myself too!!! Grab a plate and a sharpie and give someone something they’ll cherish forever. Kelly Elko shares how she made these song lyric plates. What a sentimental gift idea! You can do this with a favorite song, poem, saying or write your own special note. This will be a really special gift for a really special person who will always cherish the thought that you put into their gift. Got the perfect gift, but don’t know how to wrap it? 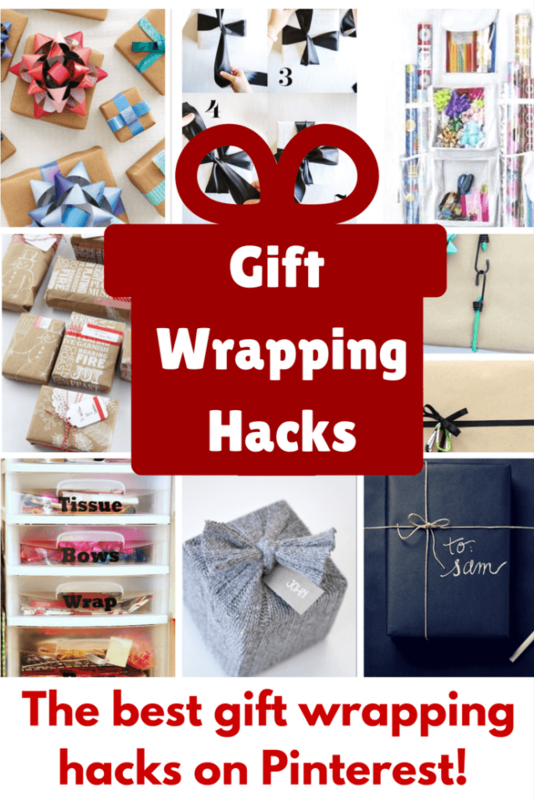 Here are some great gift wrapping hacks and how-to’s that will make every gift look as good on the outside as it looks on the inside! Who doesn’t love a gift in a mason jar? 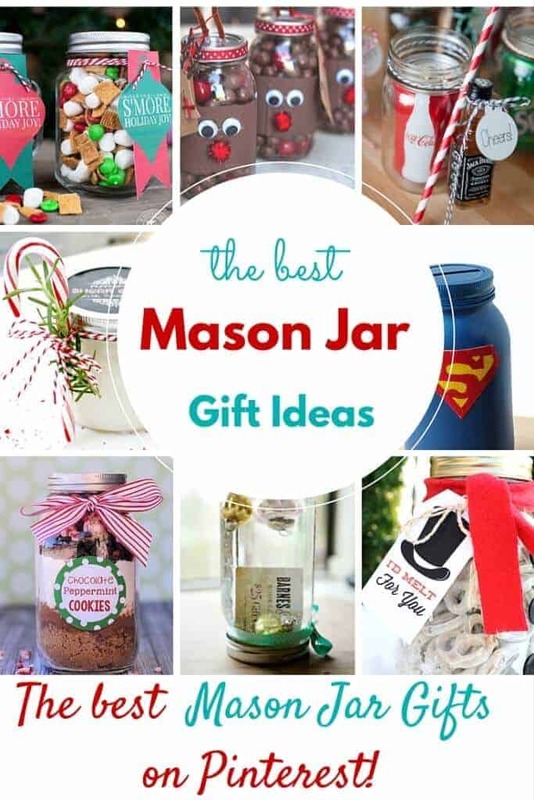 These Mason Jar Gifts will be sure to be a hit! Looking for MORE easy DIY gifts to make yourself – check out all of these great ideas for everyone on your list! Thanks for sharing my music lyric plate. Can you remove the image – that is something someone pinned and wrote their own comments. I actually don’t recommend using a sharpie and you can see in my post all the details on how to make it. I have not seen some of these ideas. Thanks for sharing! You saved me time. There are a few I will be ordering. I love how many of the gift suggestions in this article are for cozy, warm clothing. I remember one year for Christmas, I was given these bright orange knitted socks. I would go as far as to say that they were the best gift I ever got, only because of the practical use. With a lot of other gifts, you usually use it once or twice, and then you don’t touch it ever again. This article is great for finding gifts for anyone and everyone! Any thoughts on these lists? I really just want to get him a good gift.